GWSN appeared in Myeong dong! Girl group GWSN met fans through first busking since their comeback. The busking came as the 10 million heart mission, which the GWSN hosted through Naver's V-live channel before their comeback, and it successfully finished. The members had pledged to host the busking event at that time, succeeded in the mission by drawing more than 10 million hearts, and decided to host the Busking to keep their promise with fans, which is even more encouraging. In front of countless citizens GWSN visited Myeong dong on the weekend, the GWSN performed a colorful performance, including their second mini album "THE PARK IN THE NIGHT Part Two," and other tracks, "Pinky Star(RUN)." 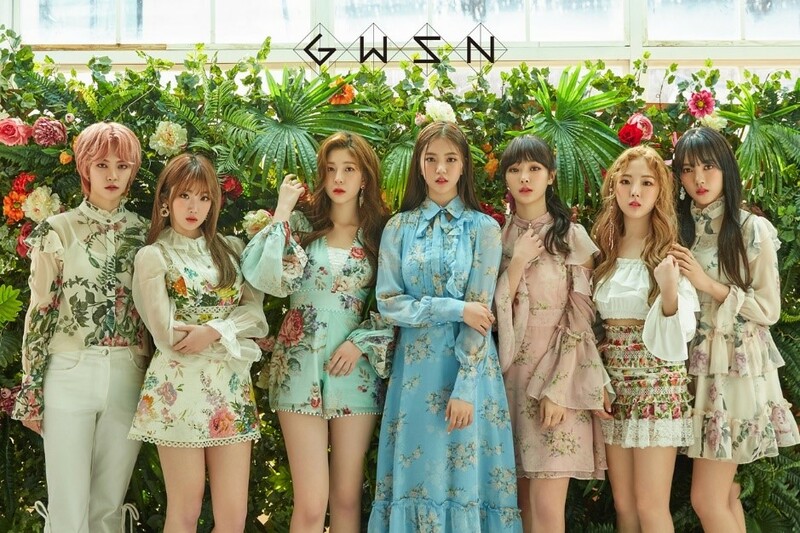 The GWSN’s second mini-album "The Park in the Night Part Two," featuring even more upgraded music and concepts, has been receiving a heated response from music fans, with her topping the real-time music sales rankings of Hanteo Chart, the country's largest music sales website. The GWSN will continue their active activities this week, appearing on Mnet's "M Countdown," KBS2's "Music Bank" and SBS' "The Music Trend."